So weather you agree climate change in the early 2000s was caused by man or was naturally occurring, the fact that the climate is changing cannot be denied. Glaciers and ice at the poles continue to melt faster than ever; destructive species are moving up into latitudes that used to be too cold for them; and 100-year floods, droughts and superstorms are now almost yearly occurrences. 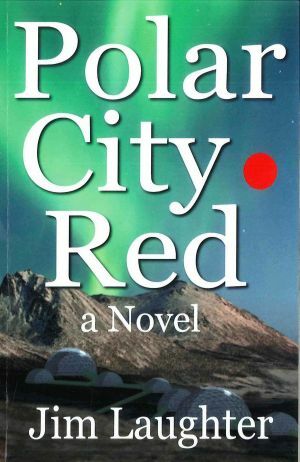 Back in 2013, long before millions of climate refugees from the Lower 48 flooded Alaska seeking refuge from the story -- the Climapocalypse -- Tulsa, Oklahoma sci fi author Jim Laughter, 59, took taken the then current-event scenario and extrapolated into the future, -- where we are today in 2075 ! -- assuming we continue to ignore the evidence before our eyes and keep our heads in the sand while pulling fossil fuels from it. .It’s a struggle to survive. But Carsen and Louellen make the best of the situation, she taking on the role of medical doctor and he assisting with administration and teaching. Dystopian novels aren’t new. Writers have been imagining dark futures since we started drawing in caves. Libbie Martin was a freelance writer who lived in Fairbanks in 2013. Where she is in 2075 is anybody's guess. Is Alaska still Alaska, for that matter?